Manufacturing and refurbishing custom-made fireplace mantels, Maison et Maison makes French top-of-the-range fireplace mantels. 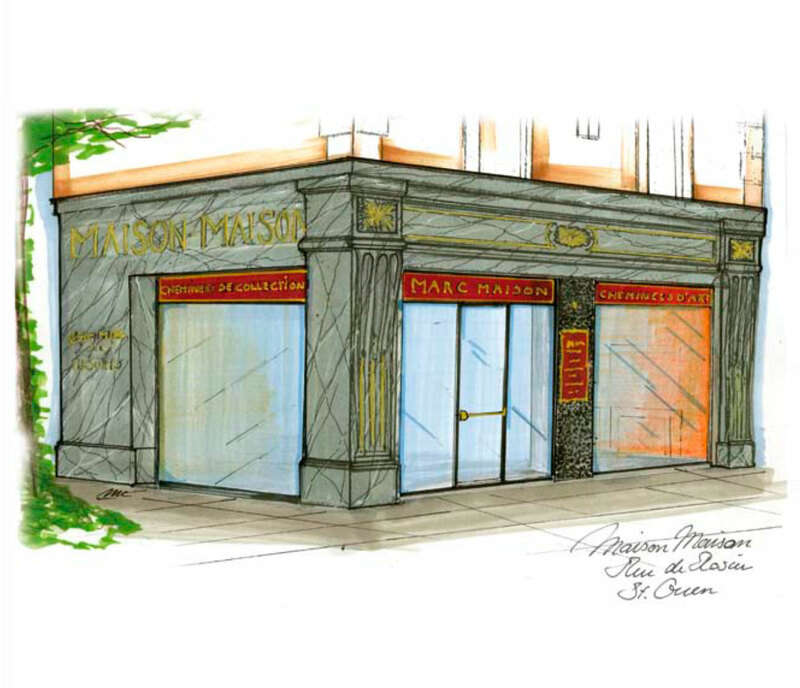 In 2010, with more than 20 years of experience in the art trade and possessing the biggest collection of antique marble fireplaces in France, Marc Maison teamed up with his two sons to create “Maison and Maison”. We are constantly receiving increased requests from large residences and châteaux to create unique fireplace mantels, that are elaborately carved and often spectacular. « Maison & Maison » is positioned within the luxury goods market by creating and carving custom-made fireplace places. Our exclusive, branded goods are made in our workshops near Chantilly in the Parisian region. The manufacturing process of each fireplace matel is entirely carried out by us, from the choice of the block of marble from the quarry to the bronze engraving of “Maison & Maison”. Our exclusive fireplace mantels are made in our workshops by some of the most experienced master marbriers, artisans and sculptors. Thanks to their expertise inherited from the great French “bien-faire” tradition passed on from past centuries, we make luxury fireplace mantels, with the aid of our large collection of archives from former marbriers. Maison & Maison pays special attention to finding the most beautiful marbles in order to guarantee its clients fireplace mantels of the highest quality. The marbles are taken from French and Italian quarries, but also from the mountains in the Himalayas, known for its exceptional marbles used to create the Taj Mahal. The block of marbles are carefully selected because of their colour, their veins and their crystallisation, and are part of what makes the fireplace mantels by Maison et Maison so unique. Marble is a natural material, offering shades which can be compared to photos and shells. The different shades are normal and make each fireplace mantel unique. 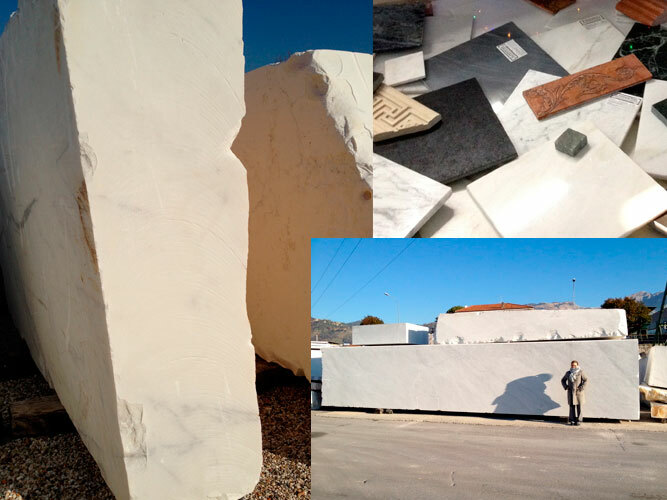 We take the greatest care in the choice of marbles we work with and during the manufacturing process, the sculptors are free to decide to not use a block of marble which does not correspond with the level of quality of Maison et Maison. We are at your entire disposal to help you choose your fireplace mantel from a variety of options. We are also at your service for any queries on prices, delivery times and any other questions. You can contact us by email: contact@maison-et-maison.com or by telephone on +33 (0)1 42 25 12 79 or on +33 (0)6 60 62 61 90. Our shop: 120, rue des Rosiers à Saint-Ouen (93) is open on Fridays (10h00 - 12h20), Saturdays and Sundays(10h00 - 18h00) et Mondays (10h00 - 16h00) and by prior appointment. Each fireplace mantel bears the bronze engraving Masion and Maison, certifying the origin of the fireplace mantel. All our sold goods are provided with a detailed bill stipulating the number of each model, and the marble used. We organise, at a cost, deliveries throughout the whole world. Whether this is in France, Europe or Australia, our aim is to help you with the whole shipping process of your fireplace mantel. 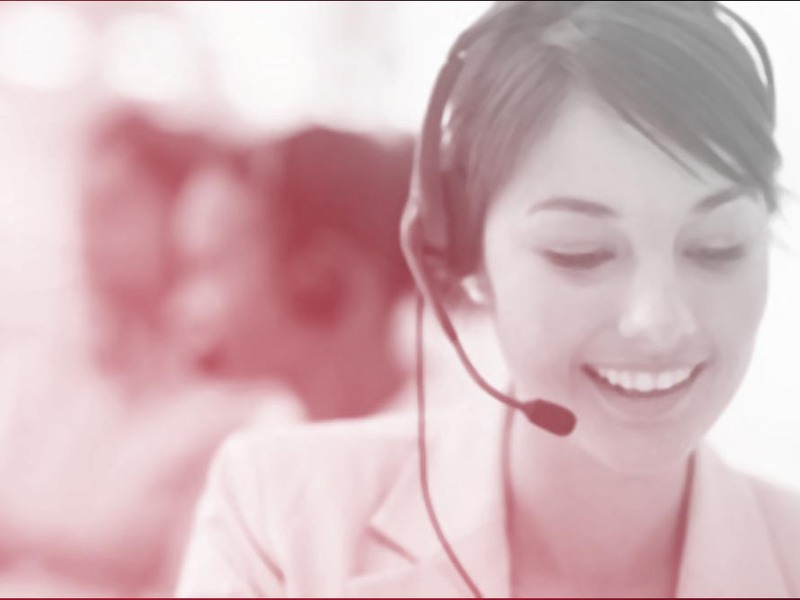 We find the best cost efficient couriers and put the client directly in contact with the carrier. We don’t take commission, nor charges, the payment is directly made to the chosen carrier. You can contact us by email for a detailed quote: contact@maison-et-maison.com or by telephone on +33 (0)1 42 25 12 79 or on +33 (0)6 60 62 61 90. The general conditions of sale are the usual conditions of trade in France. The merchandise is typically the property of Maison and Maison until full payment.